You step onto the court. You do your dance. The crowd goes wild. And then... your team scores the winning shot. We don't want to give you all the credit, but there's a good chance that the game was decided because you became the Walrus, the venerated mascot of your school. So, W. A. L-R-U-S! Let's go, Walrus! The noble sea mammals of the arctic might not be your normal mascot material, but we think any school is sure to dominate the court or the field with one of these fun sea guys as their team cheerleader. 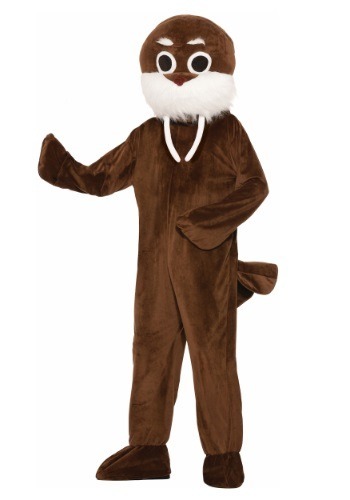 If you'd like to be the courtside animal for your team, just suit up in this hilarious costume and be ready to do some funky moves at halftime. SEA funky moves. This polyester and foam jumpsuit will let you do any dance routine in salty style. Just pop on your foam hood, and get ready to dance!